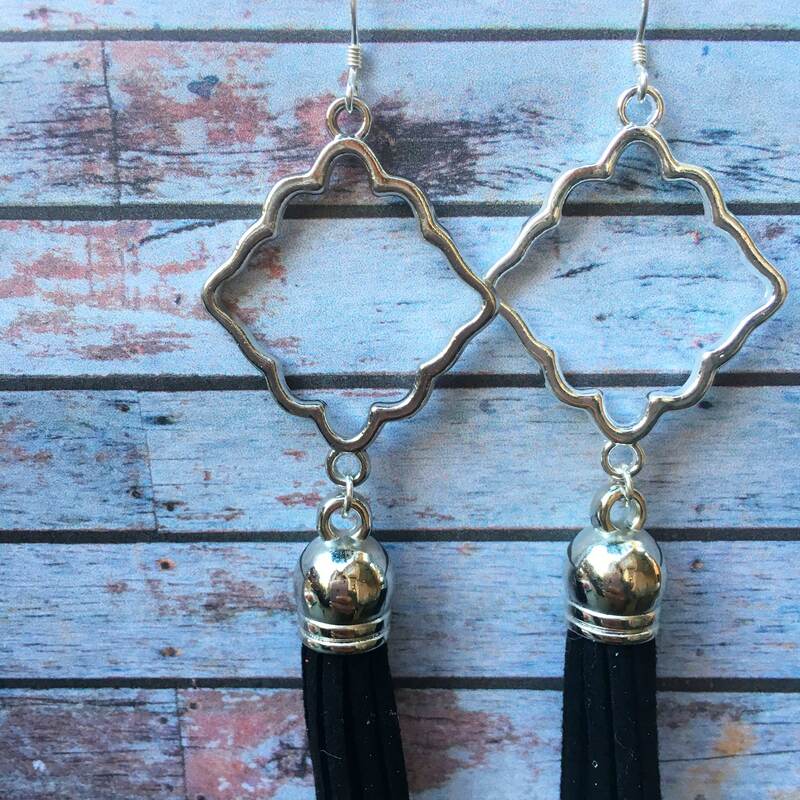 These gorgeous black tassel suede geometric earrings are so on trend! These are some of my best sellers at festivals! 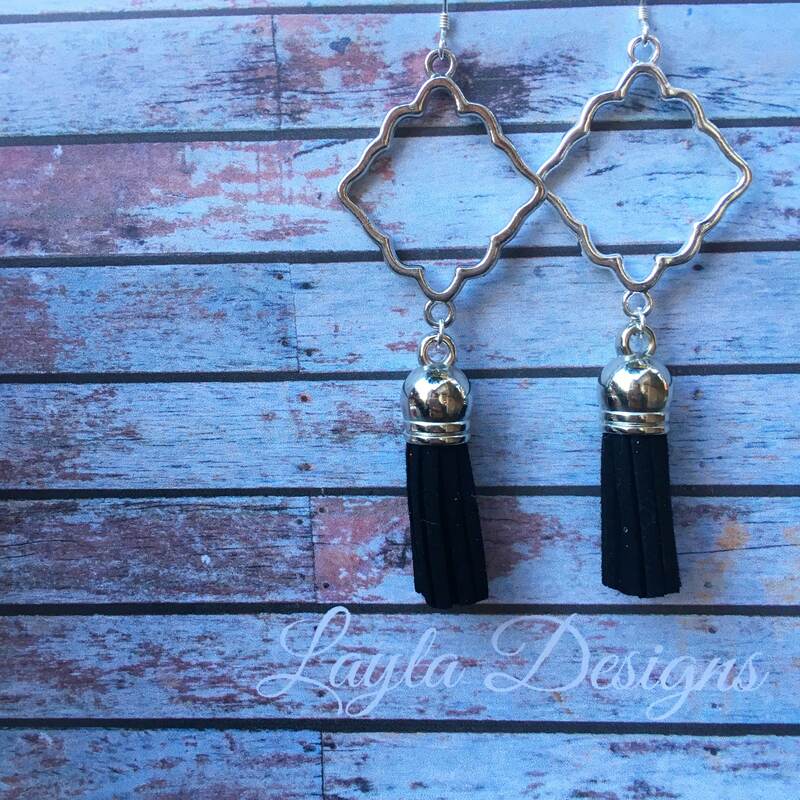 The earrings are 3 inches long.